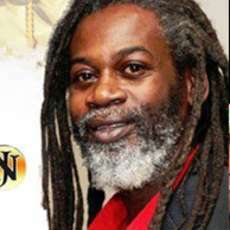 NEREUS JOSEPH was formerly the lead singer of the Coptic Roots band; the group’s reputation as an uncompromising roots and culture ensemble during the late 1970s and early 1980s provided a platform for Joseph to develop himself as a songwriter and performer. 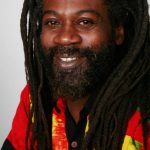 By the time the group disbanded in the early 1980s, Nereus had established himself as an impassioned deliverer of thoughtful and heartfelt songs addressing disparate aspects of the human condition. He signed with the burgeoning Fashion label and broadened the scope of his material, pandering to the sensibilities of lovers rock fans, but seeking to retain the loyalty of the die-hard roots afficianados he had endeared himself to during his Coptic Roots days. 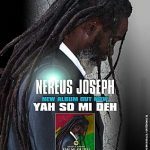 During 1996, Nereus formed an alliance with the members of the supergroup Passion (alongside Peter Hunnigale, Glamma Kid and Mafia & Fluxy), their collaborative effort, ‘Share Your Love’, hit commercial paydirt and topped the reggae charts. However, Nereus’ stated objective transcends merely accumulating a succession of forgettable hits and he has combined his recording career with the duties of a music technology tutor and sports instructor at his local youth centre in Ilford, East London. However, Nereus’ industry for a wage serves to underwrite the record label, Sirius, he ran with Kenny Edgehill from the top of a high rise in Poplar, East London. From this entity, Nereus launched his own Kanawi label as the Musician/Producer in him blossomed. To this end albums by the likes of Donovan Kingjay, Wayne Lyrics, Lioness Fonts, Afrikan Simba and more were released bearing the legend "Produced by Nereus Joseph". As a proud and headstrong independent participator in an increasingly corporate and entrenched industry, Nereus Joseph is proving himself to be a rebel who both has a cause and is determined to never die.